Although I’ve written about the idea of frames of references and cognitive coordinate systems in linguistics and cognitive science before (see e.g. here, here, and here), I haven’t written much about linguistic data that bears on this question. And the research done by the people at the Max-Planck-Institute for Psycholinguistics in Nijmegen, Netherlands and others has shown that there is a surprising diversity in linguistic frame of references across cultures. What exactly does this mean for any account of cognition? How does this affect our thinking of the relationship of language and thought? Broadly speaking, we can divide positions on the relationship of language and thought in two camps: Firstly, there are people who tend to emphasize the importance of a ‘language of thought‘ over language itself (e.g. cognitivism). Secondly, there are others tending toward the view that language and culture shape your cognitive style to a significant amount (e.g. linguistic relativism, linguistic determinism). The latter theorists can be called “lumpers”, who do not see it necessary to distinguish between the semantic content of a language and underlying conceptual representations, and the former theorists can be called “splitters” who insist on this distinction. (Levinson 1997: 13f.). Of course the lumper-splitter distinction is more of a continuum than a clear-cut divide. “‘users of different grammars are pointed by their grammars toward different types of observations and different evaluations of externally similar acts of observation, and hence are not equivalent as observers but must arrive at somewhat different views of the world’” (Whorf 1956: 221). This is not to say that language is a prison we can’t get out of. But, as language and social practices can be said to embody certain perspectives on the world, it is reasonable to argue that a child growing up in a certain community will also learn to adopt and construe these perspectives during her cognitive development. As language is a primary source that introduces children to new ways of organizing the world around them, it stands to reason that the concepts and viewpoints expressed in a language have a significant impact on cognitive representations. Of course research on the non-linguistic cognition of infants and non-human primates has shown that their mental representations are already surprisingly sophisticated and complex. Some of these cognitive capacities are proabably specified innately or at least helped by innate biases. Others may emerge due to the nature and early imprint of cultural interaction. But some concepts, namely abstract, relational ones, seem to be absent from non-human cognition completely, and in humans seem to be provided and picked up primarily by and through language during cognitive development. In fact, research on infant and childhood cognition supports the fact that the acquisition of relational concepts with the help of language may be one of the key factors that made us “so smart” (Gentner 2003, Penn et al. 2008). In my next post I’ll write about how the research done by the Max-Planck-Institute for Psycholinguists on the relationship between cross-linguistic differences in descriptions of space sheds light on this topic. Gentner, D. (2003). Why we’re so smart. In D. Gentner and S. Goldin-Meadow (Eds. ), Language in mind: Advances in the study of language and thought (pp.195-235). Cambridge, MA: MIT Press. Levinson, Stephen C. (1997) From outer to inner space: Linguistic categories and non-linguistic thinking. In E. Pederson & J. Nuyts, eds., With Language in Mind: the Relationship Between Linguistic and Conceptual Representation, 13-45. Cambridge: Cambridge University Press. 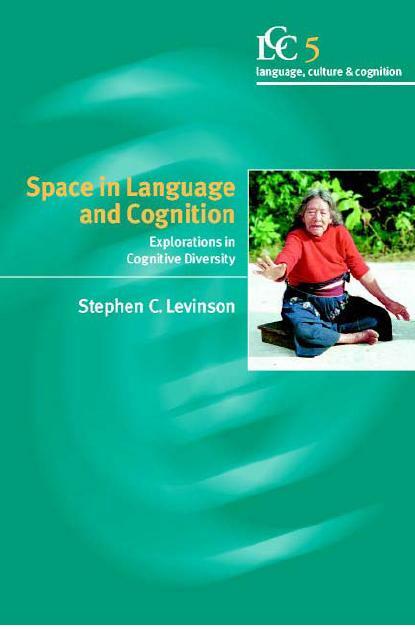 Levinson, Stephen C. (2003) Space in Language and Cognition : Explorations in Cognitive Diversity. West Nyack, NY, USA: Cambridge University Press. Penn, Derek C, Keith J. Holyoak. and Daniel J. Povinelli (2008): Darwin’s mistake: Explaining the discontinuity between human and nonhuman minds. In: Behavioral and Brain Sciences (31:2): 109-130. 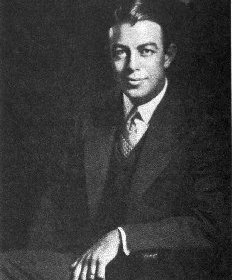 Whorf, B.L. (1956,) Language, thought and reality, Cambridge, MA: MIT Press.